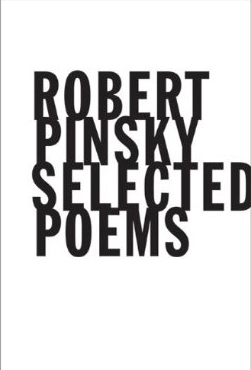 Selected Poems, by Robert Pinsky, Farrar, Straus and Giroux, New York, 2012, 224 pages, $16.00 paperback. Bits of skin, microscopic flakes, which is why they are called "great,"
There, figured and pre-figured in the nothing-transfiguring wheel. That's the ending of "The Figured Wheel," which served as the title poem for Robert Pinsky's 1996 volume of new and collected poems. It seems to me to center his concerns, to define them, in both a positive and a negative way. Let's start with the negative, since that's an easier question to deal with. Pinsky, in contrast to most poets writing in America today, is no more than tangentially interested in himself. He doesn't mine his personal history; he doesn't backstroke through his epiphanic experiences. Not that he's secretive about himself. There are autobiographical poems here, poems like "The Green Piano," where we learn of his early, "mistaken" musical career and the much more important "…Saturday afternoon // When our mother fell on her head, dusty pink as I turn on the bench / In my sister's memory to see them carrying our mother up the last / Steps and into the living room, inaugurating the reign of our confusion." That fall is mentioned in other poems, but it's not explored, not as I say mined, as many another poet might do. A sizable fraction of his poems have no 'I' in them at all, or if the 'I' appears it does so fleetingly, as no more than the author position or with a touch of comedy and self-deprecation, as in his great poem "Shirt" or above, next to a plodding Romanian cow. But what of the positive, what does "The Figured Wheel" center on and signify? On the one hand, the wheel isn't signification itself. The quotation tells us, rather, that it's "hung with devices." In its first quatrain the poem says, "Covered with symbols, it mills everything alive and grinds / The remains of the dead in the cemeteries, in unmarked graves and oceans." So what could this juggernaut be? Of course the wheel is itself a symbol in a poem; it's not an 'x' in an equation or a substance in a qualitative analysis for which we can find a single right answer. But it seems to be something like History with a capital 'h'—history, as we know, essentially begins with writing—or, seen in a more concrete way, it seems to be something like the force in human happenings, the way those happenings are understood, how those understandings lead to or color what happens next. A tall order for poetry, yes? The kind of interest perhaps better suited to a philosopher, a historian, a philologist, or some congeries of these same. Pinsky, though, is a tall poet. In his shake-'em-up critical book, The Situation of Poetry (1976), he argued that the pre- and pro-scriptions of Imagism had outlived their day, that there's room in our poetry not just for 'things' but for 'thoughts', themselves, as well. And his poetry enacts his critical ideas. There's no poet in America¬—unless it be his poetry brother Robert Hass—who better exemplifies the thinking poet than Robert Pinsky. Those stanzas open "Rhyme," first poem in the book. To tick off a few quick observations, the poem is slim and songlike¬—there's nothing prosaic or weighty about it; it's beautifully but unobtrusively crafted: each line in the first stanza rhymes or slant-rhymes with the corresponding line in the second stanza, a template carried through all five stanzas of the poem; the lines hover around a seven syllable count. The poem lives quietly, without strain, respectfully, as it were, within and between its simple words. And yet it's very much a 'thinking' poem. In fact, I'd say it forms a kind of spoke to "The Figured Wheel." Both poems take us out into the 'beyond', the intergenerational, and meditate on what continues, what 'rhymes' from life to life across human time. The undergrowth of things unknown to you young, that I have forgotten. Memory of so much crap, jumbled with so much that seems to matter. Lieutenant Calley. Captain Easy. Mayling Soong. Sibby Sisti. The Plains, centuries of lootings of antiquities. Obscure atrocities. That selfsame second you swallow it or expel it: an ecstasy of forgetting. How sharp that is. On the one hand sardonic, but on the other it's kindly; it joins in the very grain of this forgetting, obliquely casting light on un- or dim or herd consciousness. For them while they dozed. "Monstered," how that word choice explodes, further nightmares an already eerie poem. The tiny poets, tiny Pinskys, are conceived as aphids laboring to feed the divine anthill or hive. Which is also "the refinery," processing the "unarticulated crude," the Lieutenant Calleys, birds and hotel rooms, the mothers falling on their heads. So poetry here is being thought of as the food of Divinity or Culture or, indeed, History, super organisms growing on the word. It's an idea of poetry at a far opposite pole from 'self-expression'. To follow this idea through one more variation, let's look at a last spoke poem, the afore-mentioned "Shirt." "The Figured Wheel" appeared in Pinsky's 1984 book History of My Heart; both "The Refinery" and "Shirt" were published in his 1990 The Want Bone, which may be his most brilliant book. "Shirt" whirls the reader through two centuries of capitalism, works in its two pages a kind of miracle of compression, of thought, technique, narrative, musicality, and more. To do it justice would take its complete quotation followed by its own separate essay. But a review of Selected Poems makes no sense without a deep bow in its direction. "Shirt" begins with a voice, or the written illusion of a voice, "The back, the yoke, the yardage. Lapped seams, / The nearly invisible stitches along the collar," and it ends circling back on this same voice, "…The shape, / The label, the labor, the color, the shade. The shirt." This chanting of 'shirt' nouns seems to be calling up, to be conjuring the poem's 'protagonist', a shirt that Pinsky has bought, and it seems to call up, as well, the voice of what we could call the 'speaker' of the poem, narrating historical scenes and commentary, a "sweatshop" in the present; the Triangle Shirtwaist Factory fire, a horrendous event that changed the course of American labor history; cotton slavery in the American South; and a third, Scottish episode from the mid-eighteenth century that I'll quote in a moment. And this chanting seems virtually to go on 'under' the sweatshop and the three historical episodes as a kind of ostinato, falling and then rising again, seeming almost to generate the whole poem. But who does this magical chanting? We'll characterize the voice of what I'm calling the speaker as we look at the Scottish section. 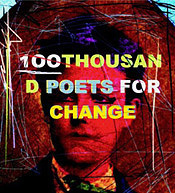 Pinsky, 'himself', his persona, appears briefly twice in "Shirt," creating the illusion that he's a minor participant in the poem's doings, a mere rider on its verbal torrent. What I'm arguing is that the chanter is 'really' a spirit voice, one of History's imps. That quotation cuts in on the end of the Triangle fire scene, versified, Pinsky's notes tell us, from newspaper accounts. A young man has helped several girls in the burning factory to jump to their deaths, and here he jumps himself. To start with the allusions, the quotation is from Hart Crane's "The Bridge," a suicide jumping. "The hoax of Ossian" refers to poems published by James Macpherson between 1760 and 1763 which he claimed were written by the legendary third century Scottish bard but were actually mostly his own writing. The larger history behind this Scottish section flows from the Battle of Culloden Moor in 1746, when the English crushed the wild Scottish Highlanders and ended the hopes of the Jacobites and Bonnie Prince Charlie, their Stuart pretender to the English throne. The last two triplets detail the capitalist strategies, their 'inspiration' to use a "fabricated heraldry" in order to digest these defeated Highlanders into the money stream. The main voice through the quotation is my 'speaker', a fluent, impersonal voice—except for the one hint of an 'I' in "Wonderful…" —detailing, meditating. My imp, the percussive namer, eases in 'under' in "Prints, plaids, checks…" in "MacGregor // Bailey…" and comes on again full voice at the end in "Weavers, carders, spinners.…" beginning to conjure for us slaves in American cotton fields. Look at the seamlessness—no pun intended—of this construction, how the poem flows from the Triangle fire back to the shirt across Crane's phrase, "shrill shirt ballooning," how the language moves in alliteration, assonance, and slant rhyme, "pattern matches perfectly," "placket," "bar-tacked," "pockets," through to "like a strict rhyme / Or a major chord," opening there, through the beauty of the image, through movement from the tight i sound of "strict," long i of "rhyme," broad, a of "major," the spaciousness and resonance in the idea of "chord." Part of my reason for quoting this middle section is to deepen the association with "Rhyme," first poem in the book, but actually written later as part of Gulf Music published in 2007. "Shirt" seems to call back through history, through its rhymes and forgettings. Who uses the word 'navvy' anymore? I'm guessing that 'carders' and 'spinners' have been replaced by machines. The imp remembers them for us. The whole poem matches up its episodes, rhymes them in that sense, money and indifference, money and indifference. It would seem that "Shirt" should enrage, should elicit marches and demonstrations, telling its graphic tale of exploitation, co-optation, and slavery. But Pinsky's persona has bought the shirt, and he sides with an inspector at poem's end, telling us, "Its color and fit / And feel and its clean smell have satisfied / Both her and me…" In ironic self-deprecation he pictures himself as the compliant beneficiary of this long, brutal grind. And he is, of course, as we readers of the poem all are. The actual feeling of reading "Shirt" is less rage than wonder, at the incredible complexity and inter-relation of everything human, the history of this 'run of the mill' shirt, and by implication everything else around us, each and any thing we see or do. Wonder, too, at the artifice of this language, at its mind and music. "Shirt" is necessarily a poem of politics and economics, but first and foremost it's a supreme poem of contemplation; its cruelty and greed are fed as beauty to the gods. I've been looking at Selected Poems under the aspect of "The Figured Wheel" and its spokes, because I think they do define a hub, an apex, of Pinsky's inspiration. But, naturally, there are many, many other kinds of poems in the book. "Impossible to Tell" is a long poem published in The Figured Wheel. It's dedicated to Robert Hass—I think the only time in the book Hass and their friendship are mentioned—and it's written in memory of Elliot Gilbert, an academic who died as a result of medical malpractice. At the heart of this ten-page poem is a wonderful shaggy dog story, horribly funny, literally a joke that laughs at horror. 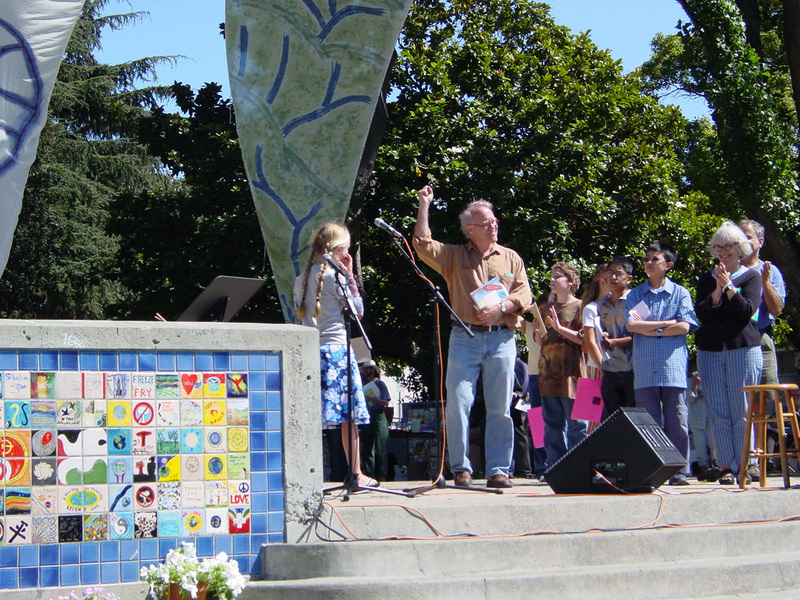 Pinsky writes a poem "To Television," "The Night Game," a scintillate baseball poem; "The Hearts" is one of a number of poems on music, this one riffing on Lee Andrews and The Hearts. His major venture in autobiography is the title poem in History of My Heart, telling of teenage eroticism, playing in a band, the famous mother fall, and much else, but it ends in a characteristic Pinskian outwardness: "…the heart // Yearning further into giving itself into the air, breath / Strained into song emptying the golden bell it comes from, / The pure source poured altogether out and away." Finally, among these riches, let me mention "At Pleasure Bay," as voluptuous a poem as Pinsky has written, a combination local New Jersey history, where he grew up, love story, and Heraclitean meditation on time in the music of a catbird singing. Wrapping up, I'd like to say a little bit about his place in the larger spectrum of contemporary American poetry. We've already sufficiently textualized him as a kind of anti-Walt Whitman—not, obviously, in the sense of any antipathy, but as a poet writing close to the antithesis of the 'song of himself'. But Pinsky was also a serious student of the tradition of English poetry, a young man—to give us the flavor—for whom an early favorite was the English Renaissance poet Fulke Greville. And that deep respect, that reverence for the English language is evident in everything he writes. I'm referring specifically to a certain unforced quality to his work. He doesn't bend words, let alone break them; he doesn't emphasize the slippages of language, press it to limits and beyond to expressive failures. These tendencies in American writing have been the main focus, the specific province of the 'experimental' in the late twentieth and on into our early twenty-first century. Pinsky, on the contrary, has always written traditional English, by which I mean the English whose meanings have accreted and derived their force in the flow of our English and American half millennium since the Renaissance. As a consequence, he is largely thought of as an 'academic' poet. I want to suggest, though, that he's actually an extremely daring writer, someone who's constantly pushing his forms and ideas. Nobody's ever written a poem like "Shirt" before. Hard to imagine anyone openly reading a poem like "The Forgetting" or "The Refinery" and not feeling themselves teetering on the moving edge of now. So perhaps we ought to accord him more edgy creds; perhaps we ought to broaden our ideas of 'innovative', 'experimental'.